There is no denying that the UK is, and always has been, ahead of the music curve. I won't & don't even need to bring up the list of examples to prove it. 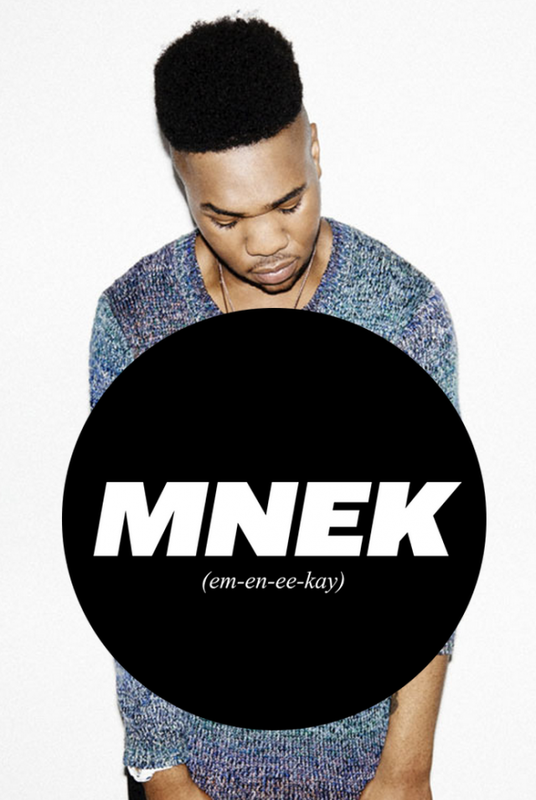 With that said, brace yourselves for MNEK (pronounced em-en-ee-kay), as he surely is set to conquer the music world as we know it. OK, maybe not literally, but he is for sure the one to watch! This 19 year old may have already served you some realness and you may have not noticed. A few remixes, A production credit (or 5), and all around awesomeness has been surrounding this guy over the past few year. If you don't know, now you know... well kinda, click HERE for a recap from the blog! Regardless of what you may have read, or think you know, MNEK is set to embark on his own journey, come 2014. Recently signed to Virgin/EMI, the brilliance (YES BRILLIANCE) that is MNEK is set to release with his debut long one. The first taste is his smooth-vox was recently added to the stunning new Gorgon City track, Ready For Your Love, which Radio 1's Zane Lowe already included in his list of hottest records of this year (even though MNEK already "re-fixed" it three days ago (see below)). To add to this, he recently released a new mixtape, "THE MIXTAPE, VERNACULAR," which is a good intro to who MNEK is as an artist & what has influenced his sound, along with some snippets from his debut. It's a FREE DOWNLOAD (for the time being) and I would not pause on pressing that download button below. You are very welcome. Dec 1 Hello. Monday. Remixes.